With a seating capacity of almost 100,000 El Camp Nou is the largest stadium in Europe and a Mecca for football fans from around the world. 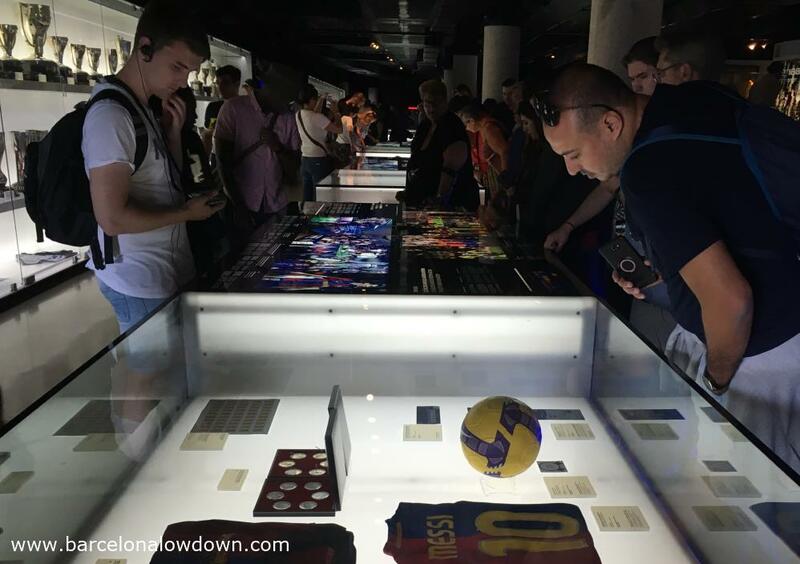 The Camp Nou Experience is one of the most popular tours in Barcelona giving visitors exclusive access to areas of the stadium which are normally off limits including the changing rooms, press box, dug out and pitch as well as the FC Barcelona museum. Whether you’re a diehard fan of FC Barcelona or just interested in finding out what goes on behind the scenes at one of the best football teams in the world. 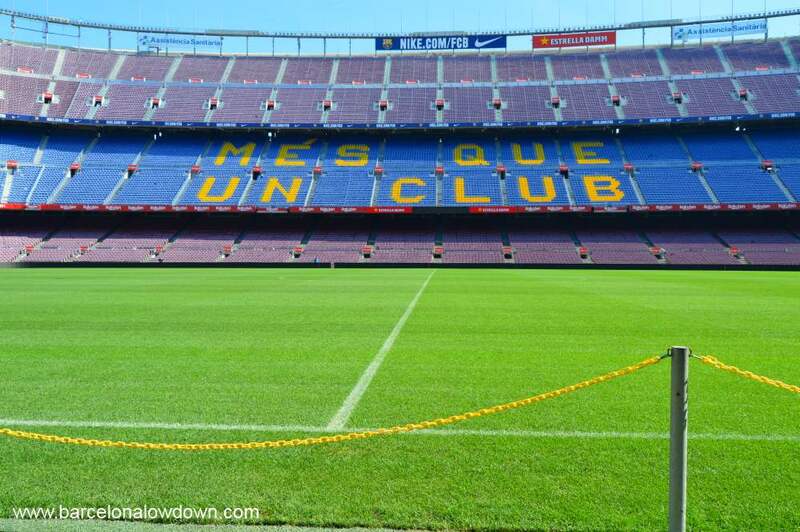 A visit to the Camp Nou should be on your list of things to do in Barcelona. Once through the turnstiles, the Camp Nou Experience starts with the first of 3 photo opportunities that have been setup along the tour route. Museum staff take your photo in front of a green screen holding a Barça shirt and football scarf. You’re not obliged to buy anything and if you don’t fancy having your photo taken you can just walk past. At the entrance to the museum there’s a small section dedicated to Johan Cruyff the legendary Dutch footballer who was one of Barcelona’s best loved and most talented players. Cruyff played for Barça during the 1970’s and then returned to Camp Nou as coach during the 1990s. The tour continues through the museum where there are 4 large display tables explaining the history of the club from it’s beginnings in 1899 to the present day. In addition to text in 3 languages (English, Spanish and Catalan) there are photos, press cuttings and memorabilia including vintage football shirts, boots, posters etc. The tables are flanked by by glass cabinets containing the impressive collection of trophies that Barça have won over the years. There’s also a large interactive screen where you can learn about highlights from the club’s history. Next up is a small section dedicated to the women’s team as well as the other Barça teams (basketball, handball, hockey etc…) followed by spaces dedicated to Joan Gamper, Josep Suñol and, of course, Leo Messi. Now that you’ve learnt all about the team’s history it’s time to visit to the stands and take a few panoramic shots of the pitch. If you’ll be seeing a match during your stay in Barcelona you can try and work out where you will be sitting. This is a great chance to wander freely among the rows of plastic seats and soak up the atmosphere. Imagine what it must be like here when the stadium is packed with thousands of cheering fans. Once you’ve taken a few photos of the pitch the tour continues downstairs to the changing rooms. Unfortunately you only get to visit the visiting team’s changing room which is pretty sparse. 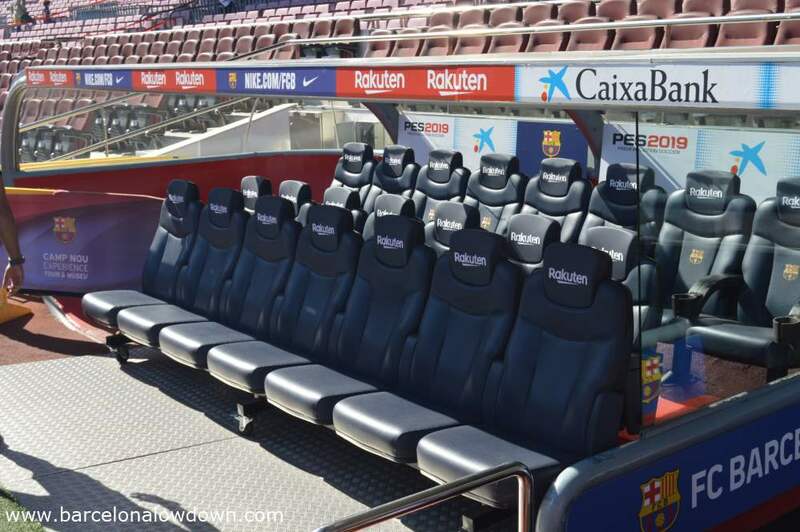 From what I’ve seen on TV and in photos, the Barça changing rooms are more luxurious. From here we move on to the Mixed Zone where post-match interviews with the players take place, followed by the more formal Press Room with seating for 120 journalists. After the changing rooms and press area follows a short passage decorated with large photos of important moments in Barça’s history (presumably selected to remind the visiting team who they are up against) followed by the tunnel which leads out to the pitch. This is the tunnel which you see on TV where the players wait just before running out onto the pitch at the start of the match. 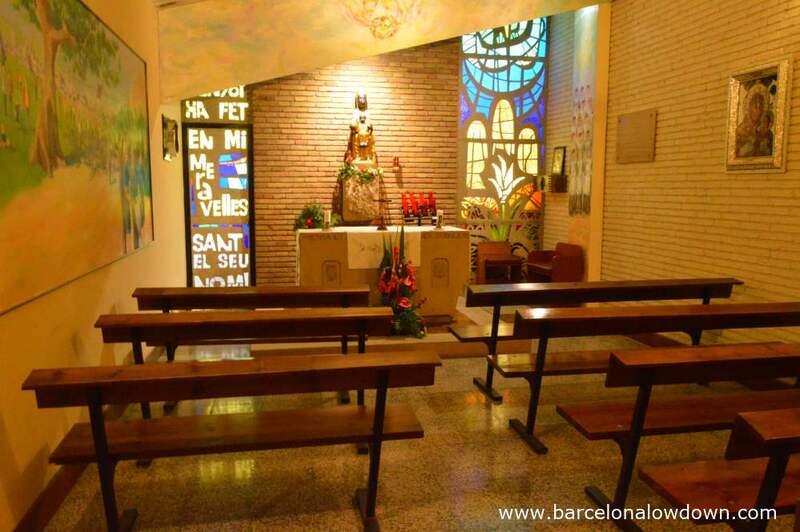 On the right hand side of the tunnel is a small chapel which was blessed by Pope John Paul II when he visited the Camp Nou stadium in 1982. From the players’ tunnel we walk out onto the pitch, well not right onto the pitch itself but you do get as far as the sideline and can sit in the chairs where the managers, coaches and players sit during the match. Like the visit to the stands earlier in the tour, this is a great place to linger for a few minutes, take a few photos and imagine what it must be like to be here during a match! Barça Virtual Experience with VR glasses. After visiting the pitch you walk back up through the stands where you get the chance to experience a training session and a match using 3D virtual reality goggles. Next up is a change to have your photo taken with one of Barça’s many cups before climbing the stairs (or taking the lift) up to the press box where reporters get a birds eye view of the action while commenting on the game. After the press boxes we walk back down through the stadium to a third photo opportunity where you get to pose with your favourite player courtesy of a large green-screen. Finally we finish the tour in a section called Moments of Barça History which is a series of screens showing moments from the team’s recent history accompanied by a soundtrack of crowds cheering and chanting Barça, Barça Barça! Then there’s a small display with a model of what the Nou Camp Nou stadium will look like when the current remodelling works are completed, due to be finished sometime in in 2020. Lastly comes the 3 story high FC Barcelona megastore which stocks all the Barça merchandising that you could possibly need! Last entry 1.5 hours before the museum closes. The museum and stadium is closed on Christmas day and New Year’s Day. Match days (La Liga and Copa del Rey): The tour is closed all day. You can visit the museum and panoramic viewpoint up until 3 hours before the match starts. Champions’ league matches: The tour is closed on the day of the match and the day before the match. You can visit the museum and panoramic viewpoint up until 3pm. 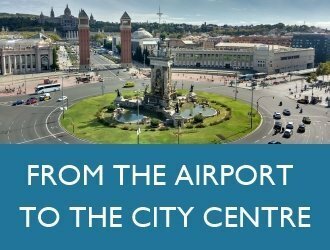 Camp Nou is at C/Arístides Maillol 12 in the Les Courts neighbourhood and takes approximately 30 to 45 minutes to get to from the city centre using public transport. There are two metro stops nearby, both of which are less than a 10 minute walk from the ground. Follow the signs to Camp Nou from the Metro platform. Collblanc – L5 (blue line) and L9 sur (orange line) nearest entrance to the ground is gate number 15. The open top Hop On Hop Off tour buses also stop at the stadium (blue line). You should allow between one and a half and 3 hours for the tour. If you plan to have something to eat at the ground or are a dedicated Barça fan it could take longer. Once inside the museum there is no time limit. Yes, all labels and displays are in English, Spanish and Catalan. Audio guides are available in English as well as several other languages. Is the Camp Nou Experience a Guided Tour? The standard Camp Nou Experience is a self-guided tour. 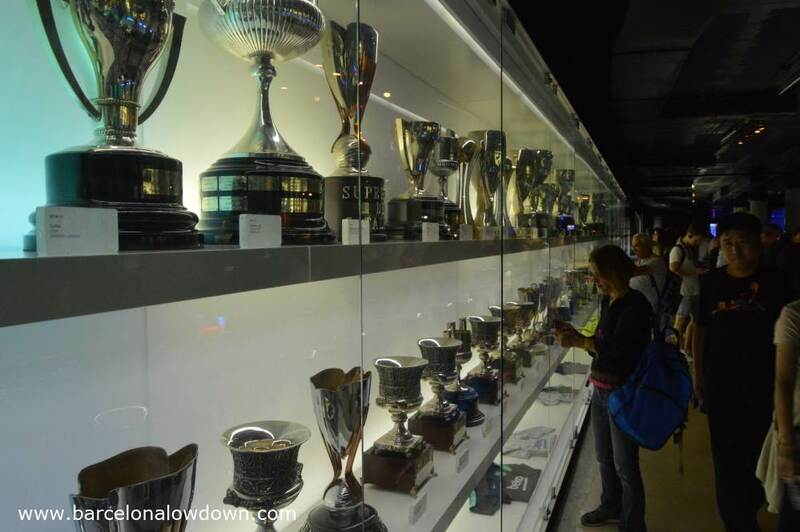 There is lots of information explaining the history of the club in the museum and Camp Nou staff will indicate the route that you should follow if necessary but they are not tour guides. Audio guides can be purchased at the entrance to the museum and cost €5. There are also guided tours with English speaking guides avalable although you have to book in advance. Is it worth paying the extra for the audio guide? Yes, I found the audio guide interesting and it added to my visit. I wouldn’t say that it is essential but if you are interested in the history of FC Barcelona but don’t want to spend lots of time reading all the display boards then I think it’s a good choice. In addition to the museum, it also guides you around the rest of the stadium where there are no display boards to read. The audio guide itself is a small tablet which in addition to the audio includes video clips and photos as well as a quiz about what you have seen during the tour. If there are two or more of you visiting then you could, of course, share one between you. When you pick up the audio guide at the entrance to the museum you are asked to leave a bank card as security which will be returned at the exit. If, like me, you don’t want to leave a credit card then a driving licence is also acceptable. Is it worth paying extra for the Virtual reality glasses? No, in my opinion it’s not worth it. The VR video only lasts about 3 minutes or so and, unless you’ve never tried VR goggles before, it is pretty unimpressive. Is there anywhere to eat inside the Camp Nou stadium? Yes, there is a bar inside Camp Nou with views of the pitch plus several fast-food restaurants at the entrance to the Camp Nou experience where you can get something to eat and drink. There are also plenty of restaurants and bars in the surrounding area. My favourite restaurant near to the Camp Nou stadium is La Riera (only open at lunchtimes). Should I purchase my tickets for the Camp Nou Experience online in advance? Yes, online tickets cost €3.50 less than buying tickets at the stadium plus they allow you to go straight to the museum entrance without having to queue up to buy tickets. 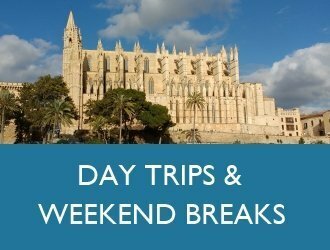 Having said that, unlike the Sagrada Familia and Park Güell, the slots don’t normally sell out so there’s no need to buy your tickets days in advance. 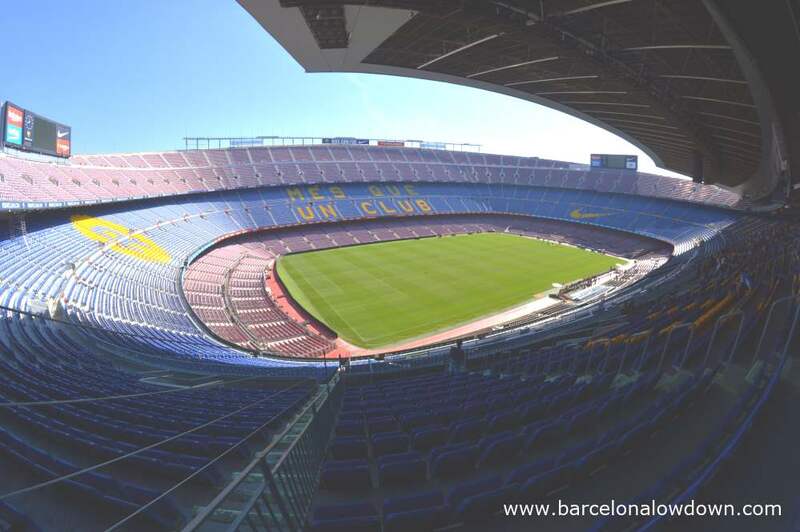 If you’re not sure exactly when you will be visiting Camp Nou I recommend that you bookmark this page and then check back when you’re in Barcelona, keep an eye on availability, and book tickets the day before you plan to visit. Please remember that the tour doesn’t run on match days or the day before champions league matches. If you want to be as flexible as possible whilst still having a pre-booked ticket then there are open tickets available. 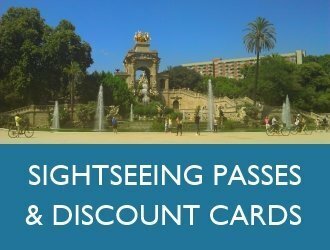 These are a good choice if you want to avoid queueing for tickets and will be visiting the stadium with one of the Hop-On Hop-Off bus tours because it’s impossible to know exactly when you will arrive at Camp Nou. 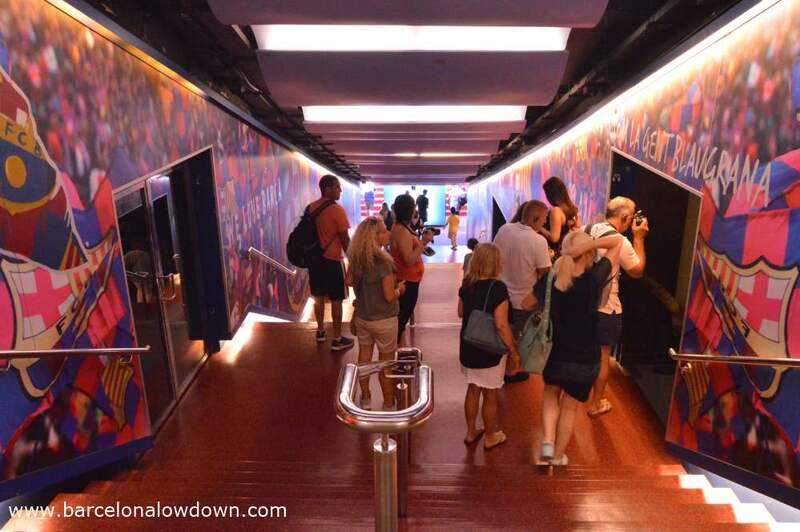 What’s the best time to visit the Camp Nou Experience tour and FC Barcelona museum? The museum is usually less busy in the morning. Is it still worth taking the Camp Nou tour if it’s raining? Yes, if fact I’d say that it’s a good thing to do on rainy days (not that there are many rainy days in Barcelona). The only section of the tour where you aren’t under cover is when you visit the dugout and side-line and, if you are unlucky with the weather, you could skip this bit if you want to. I already plan to see Barça play at Camp Nou, is it still worth taking the tour? Absolutely, the tour gives you exclusive access to parts of the stadium where you can’t go during a match (press box, press area, changing rooms, tunnel, side-line, dug out etc. Plus the museum tells you tons about the club. If you’re a Barça fan who’s visiting Barcelona I’d say that the Camp Nou Experience tour is a must. Is there free WIFI available at the stadium? Yes there is although I’ve heard that the coverage is pretty poor. How long will it take to get from my hotel to the Camp Nou Experience? This obviously depends on where you will be staying. 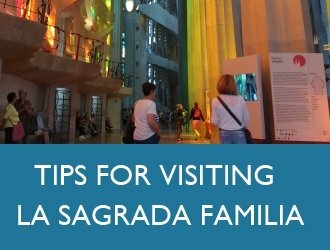 From Plaça Catalunya or the Sagrada Família by public transport it takes between half an hour and 45 minutes. A taxi from central Barcelona to the stadium will take about 20 minutes and cost about €15 (depending on traffic). Would the Camp Nou Experience Tour be enjoyable for someone who isn’t a football fan? It’s a hard one to call but I think that if you are interested in the history of Barcelona then you would find the museum interesting. Apart from the football, the trophies and the club’s history, it also helps you understand why the club means so much to so many Barcelonians. 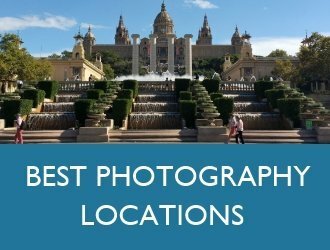 Can I take photos inside Camp Nou and the FC Barcelona museum? Yes, photography is allowed throughout the tour and museum. The only no cameras sign I saw was at the spot where you could have the Camp Nou’s photographers taking a photo of you with one of the trophies. What’s the deal with the photo opportunities? 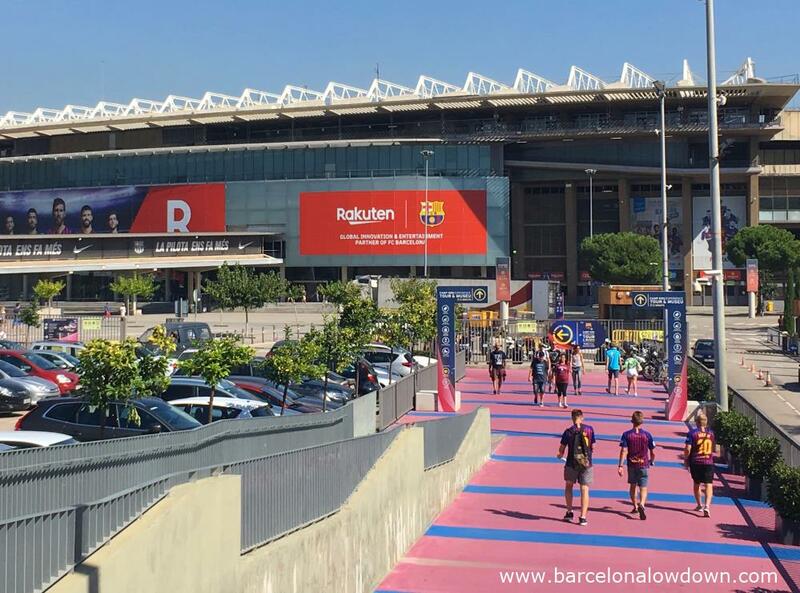 As I mentioned earlier in this article, there are 3 photo opportunities set up along the tour route where Camp Nou staff take your photo in front of a green screen. At the first one (which is right at the start of the tour) you are handed a Barça shirt and scarf to pose with. The second one you get to pose with one of the team’s many trophies and at the last you pose in front of a green screen and they Photoshop in your favourite player from the current Barça squad. You can walk straight by if you want but I it’s good fun and there’s no obligation to buy the photos if you don’t want them. At the end of the tour you are shown all the photos and can choose whether you want to purchase any prints. Prices range from €20 for one printed photo and all the photos in digital format to €60 for a souvenir album with 4 printed photos (you choose which ones) and all the photos in digital format. If you’re visiting with your family or a group of friends then it’s a fun way to immortalise your visit and a nice souvenir. Incidentally, when I visited I chose not to purchase the photos and when I said that I wasn’t interested and walked off another member of staff asked me (in a relaxed and friendly manner) why I hadn’t purchased. When I replied that the photos were nice but I didn’t want to spend €20 on a print she asked me whether I’d be interested in buying all the photos in digital format for €10. Have I missed anything? If you’ve something to add or if there’s anything else you need to know about the Camp Nou Experience tour please let me know in the comments section below. 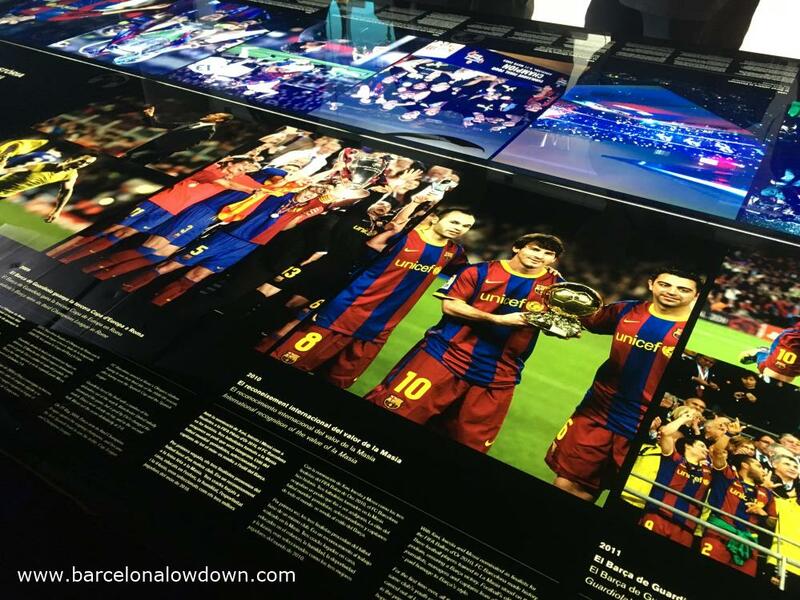 This entry was posted in Attractions tagged Barça, football, museum and updated on April 6, 2019 by Richard. If i pay for the camp nou tour online , when i get there will i get the tickets printed or a pass or it will be just the ticket in the mobile phone ? 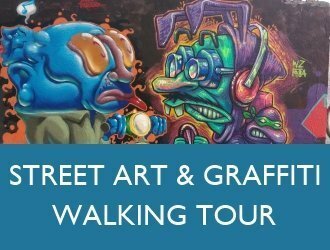 If you purchase the tickets from the links or “book now” button in this post then you will receive an email with a link to download your tickets. You don’t need to print the tickets out, just show them on your phone at the entrance. If you want the ticket as a souvenir you could print it out at home if you like but you don’t need to.